Product prices and availability are accurate as of 2019-04-23 02:20:08 UTC and are subject to change. Any price and availability information displayed on http://www.amazon.com/ at the time of purchase will apply to the purchase of this product. Elephant silhouettes and stripes of intricate patterns in a pale turquoise and pink make this Elephant Stripe Quilt Set by Lush Decor a fun way to revamp any bedroom. 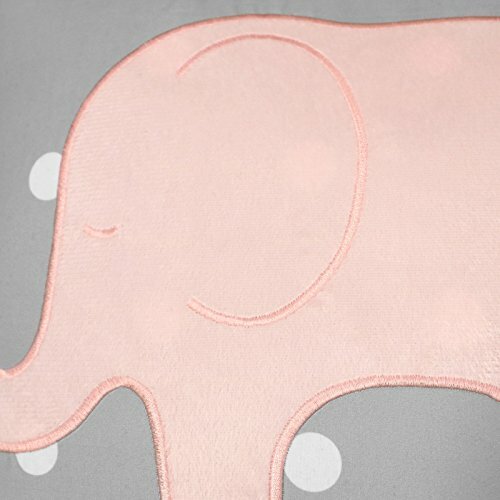 The reverse of the quilt features white polka dots on an elephant gray ground. 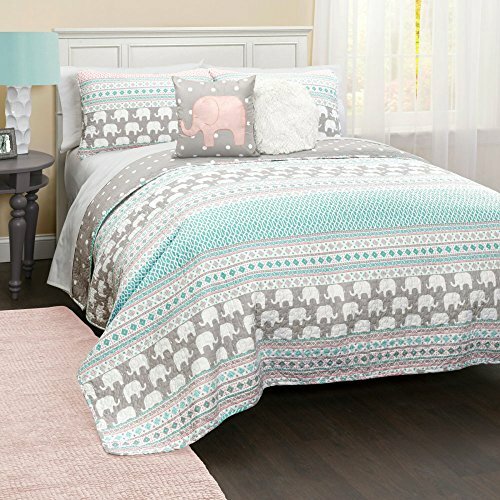 This bedding set includes a reversible quilt, two matching pillow shams (one with twin size), and two coordinating decorative pillows. 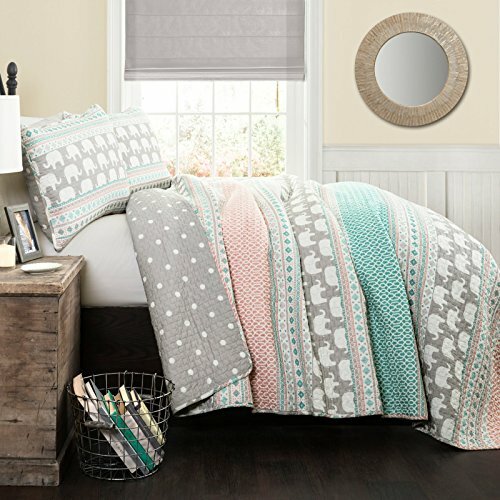 The quilt and shams are machine washable and available in select sizes. Twin Dimensions:Quilt: 86L x 68W in. Pillow sham: 26L x 20W in. Square decorative pillow: 16 x 16 in. Round decorative pillow: 18 diam. in. Full / Queen Dimensions:Quilt: 92L x 88W in. 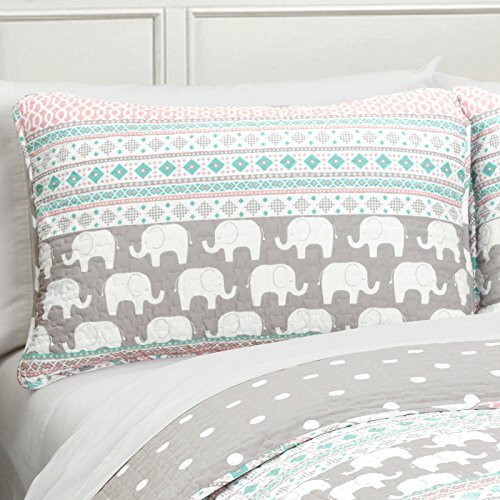 Pillow shams (each): 26L x 20W in. Square decorative pillow: 16 x 16 in. 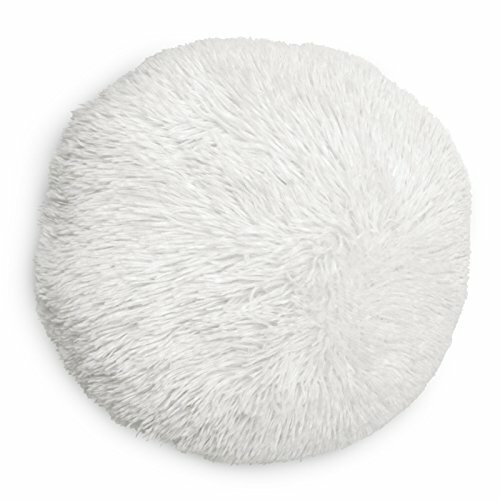 Round decorative pillow: 18 diam. in. Select an available size. 2 decorative pillows, 2 shams, quilt, sham. Constructed of 100% polyester. 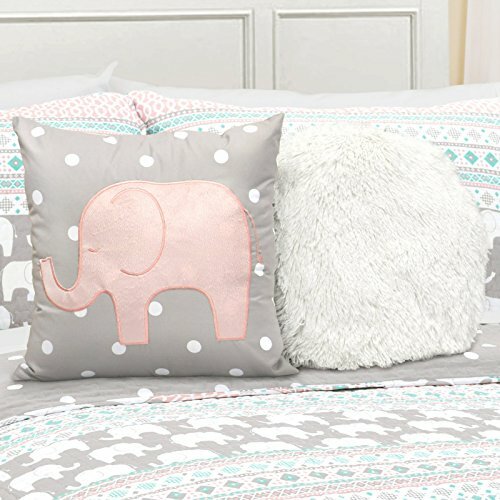 Playful elephant stripes. Machine washable. Turquoise, pink, gray, and ivory. Filling made of 50% polyester and 50% cotton.